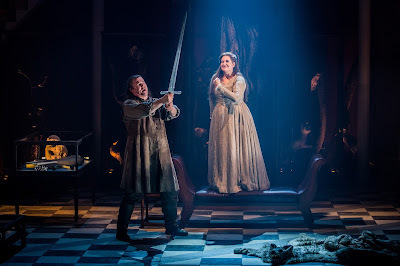 Having had long experience in the Italian repertoire from Elvira (I puritani) and Violetta (La Traviata) to the title roles in Norma, Aida and Tosca, soprano Claire Rutter recently sang the role of Sieglinde in Wagner's Die Walküre at Grange Park Opera (see my review), not only the first time she has sung the role in a staged production but her first major role in the German repertoire. 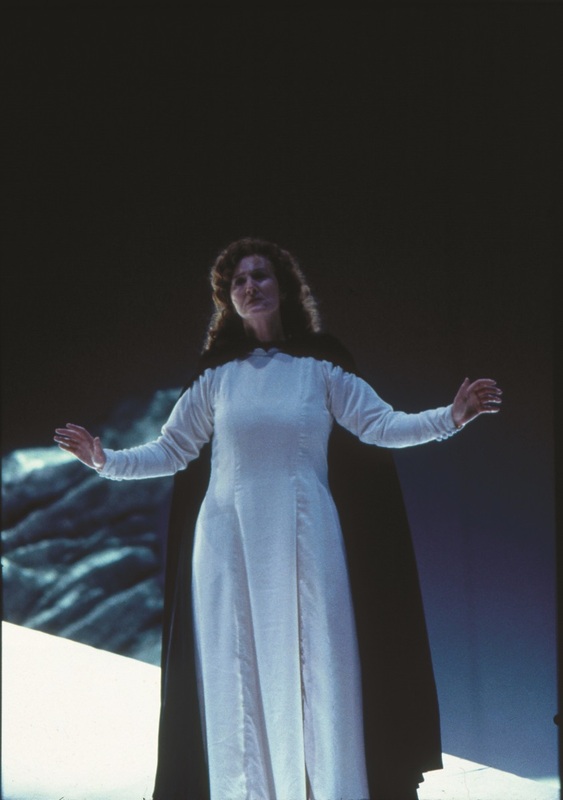 Claire was coached in the role of Sieglinde by Dame Anne Evans, a renowned Wagnerian soprano famous for her more lyrical approach to the roles. I recently joined Claire and Dame Anne to talk about what it takes to be a Wagner singer, for a two-part article (read the second part here). Dame Anne feels that many people have the wrong idea about singing Wagner, and think that singers simply fall out of their cradle singing that way. But she insists that it is something that has to be learned, along with the stamina to be able to sing in five-hour operas. She feels that she was lucky, and was able to approach Wagner in a very traditional way by singing small roles first and she has in fact sung 11 different roles in The Ring. This started whilst she was a student in Geneva; she spent two years at the conservatoire opera school which was attached to Geneva Opera where she sang Rhinemaidens and Norns. This continued at the London Coliseum with English National Opera where she sang a Valkyrie and a Norn. Reginald Goodall heard her singing the 'Ho jo to ho' in The Valkyrie and said 'you will sing Brünnhilde one day', and she thought this was a ridiculous idea. The experience of being part of a company is something which both Dame Anne and Claire had, as Claire was one of the last contract singers at Scottish Opera. But nowadays this type of experience has largely disappeared in the UK, though many German opera companies provide young singers with the experience of being in a company and trying out a large variety of roles, including singing smaller Wagnerian ones. This sort of experience is important because it is necessary for a singer to get into the correct style of singing Wagner. Here also, Dame Anne takes quite a strong position. She was famous for singing Brünnhilde in a more lyrical fashion, and she points out that Wagner was 'mad about Bellini's Norma' and that this should influence the style of singing his music, and that it needs a lot of portamento. She is very dismissive of what she calls the 'awful Bayreuth bark' and adds that Goodall always said not too much metal in the voice, he wanted a round sound. Claire came to Wagner far later, have sung a great many other mainly Italian roles, but she feels that she is able to put this experience into the mix. And she also noticed that her Italian roles improved after she started singing Sieglinde. When Dame Anne first sang the role of Isolde in Tristan und Isolde at Welsh National Opera, with Sir Charles Mackerras conducting, Mackerras sent her Mapleson Cylinder recordings made at the Metropolitan Opera in New York Met in 1901 to 1903 of early Wagner singers. These were very difficult to listen to, very scratchy, but they included sopranos who sang both Wagner and Bellini's Norma and who used portamento and colour. The book Wagner Rehearsing the 'Ring' by Heinrich Porges is an eye-witness account of the first Bayreuth Festival and gives us some idea of what Wagner wanted, which includes using portamento in a subtle way so that the music sounded more dolce, but whilst the book is fascinating Dame Anne regrets that Porges did not give us more detail. Dame Anne feels that Wagner wrote well for the voice, whereas Puccini and Richard Strauss are a lot harder. With Wagner, the soprano is usually telling a story with the upper and middle voice, and the orchestra is not thickly scored, by contrast Puccini and Strauss use a lot thicker scoring. She found Isolde wonderfully written for the soprano voice, and feels that Isolde is three women, a fighting princess in Act One, a woman in love in Act Two, and transfigured in Act Three. But what you have to be able to do in Wagner is sing at your most beautiful after five hours, both as Brünnhilde in the Immolation Scene and as Isolde in the Liebestod. Claire comments that this is something which Verdi does too, but generally his operas are shorter. If there is a long second interval, this means that in roles like Brünnhilde in Götterdämmerung and Isolde in Tristan und Isolde there can be a 90 minute gap before the final scene, a gap when you are not singing. Faced with such a gap, both Dame Anne and Claire like to keep the voice moving. For Dame Anne, it isn't simply about singing with laser-like power, a singer needs to also have colour in the upper and upper-middle voice to be able to tell the story. She does not like the fashion for straight tone in Wagner and feels it 'can become shrieky'. And both Dame Anne and Claire agreed that a singer like Birgit Nilsson performing a dramatic Italian role like the title role in Turandot was too 'in your face' and they both preferred Eva Turner's approach. Claire added that people are afraid to follow sing Turandot quietly when the score asks for it. Dame Anne comments that she was always being asked to sing the title role in Richard Strauss's Elektra, but she points out that when the work was written it was sung by a rather different type of voice than today and that on Sir Thomas Beecham's recording of Elektra (made in 1947 with Erna Schlüter as Elektra), it is so beautifully sung yet this is not what people expect today. So she always sang Chrysothemis, a role which you can walk away with the opera. Both Dame Anne and Claire agree that Sieglinde is by far the best role in Die Walküre, and that like Chrysothemis, and Micaela in Carmen, a good Sieglinde can walk away with the opera. In fact, Micaela is a role which both Claire and Dame Anne sang when younger, and they agree that though the aria is hard it really can steal the show. In fact Dame Anne's, first role at ENO was Mimi, and she sang a lot of Mozart, as well as Violetta in La Traviata. These were the days when ENO toured, and Dame Anne would start roles on tour so that by the time she sang at the London Coliseum she was sung in. She always wanted to sing Desdemona in Verdi's Otello (a role also in Claire's wants list), and would have liked to sing the Janacek heroines but the opportunity never came. Having heard Callas as Tosca, Dame Anne thought her own voice too bright for the role. She understudied the role of Anne Truelove (in Stravinsky's The Rake's Progress) and loved it, but unfortunately never went on. But there came a point when Dame Anne was going to be singing Donna Anna and Elsa both for the first time and it just did not work. Whilst learning Elsa she had to learn Donna Anna down an octave as the role sits in such a different part of the voice. Here she quotes Maria Callas who famously said when asked at the Met to sing both Violetta in La Traviata and Lady Macbeth that 'the voice ain't an elevator'. Here Claire mentions her experience of singing the role of Minnie (in Puccini's La Fanciulla del West) which is a tricky role requiring lots of middle and lower voice. After singing the role it would take her voice ten days to recover before she was able to sing a role like Elvira in I Puritani. For a high soprano, the hardest of the three Brünnhilde roles is that in Die Walküre, where apart from the 'Ho jo to hos' the role lies very low, almost in mezzo-soprano territory. The Brünnhilde roles in Siegfried and Götterdämmerung are very different, but by the time Wagner wrote the music for these two he had written Die Meistersinger and Tristan und Isolde, so the soprano voice for which he was writing was a different type. In fact Birgit Nilsson found Brünnhilde in Die Walküre too low and usually tried to get out of singing it if she could. When Dame Anne sang complete Ring cycles she found that she was always tired on the rest day between Die Walküre and Siegfried, but rarely so tired between Siegfried and Götterdämmerung. Stamina is something that both singers have had to develop. On days when she is not singing, Claire spends time in the gym (or walking if not able to visit the gym) whilst Dame Anne always used to skip. Singing Brünnhilde in Harry Kupfer's production of the Ring at Bayreuth was one of the most physical things that Dame Anne had done. She always lost a lot a weight, not helped by the fact that she was singing in plastic trench coat on a very hot stage. Similarly Claire lost weight whilst singing Sieglinde, despite eating more. For Claire, the role of Sieglinde is some three notches down from what she is used to singing. She sang the role in concert in Rennes in 2013 but had to memorise it relatively quickly for the staged performances at Grange Park Opera, and went to Dame Anne for coaching (as well as working ith German coach Gerhard Gall). 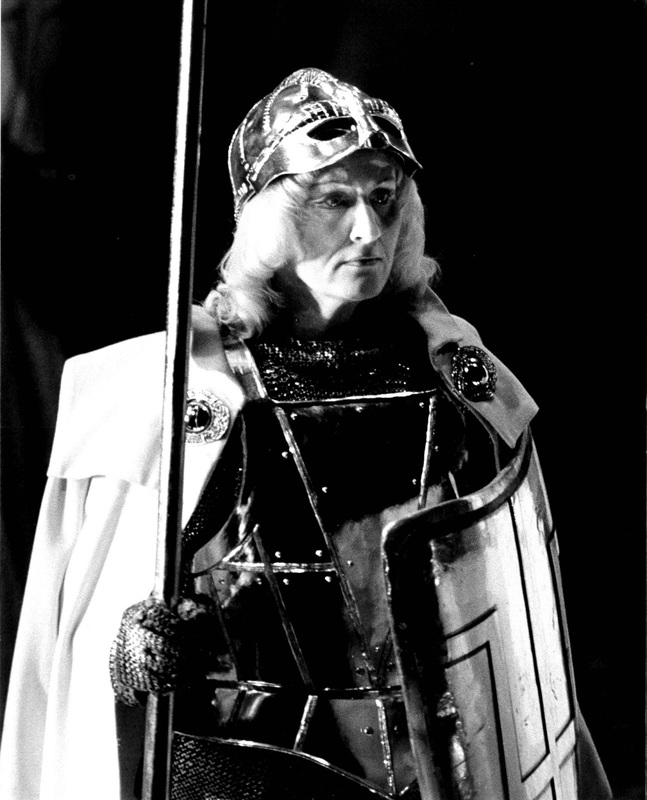 Claire's experience in a wide variety of roles in the Italian repertoire meant that she had the sort of secure technique which Dame Anne feels is necessary before taking on Wagner. 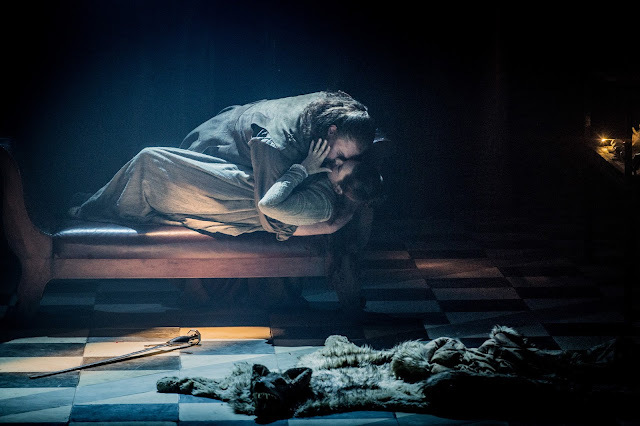 One important feature of learning the role which Dame Anne highlighted was breathing, breath has to be emotion and is as important as the vocal phrase. The second part of this conversation can be read here.